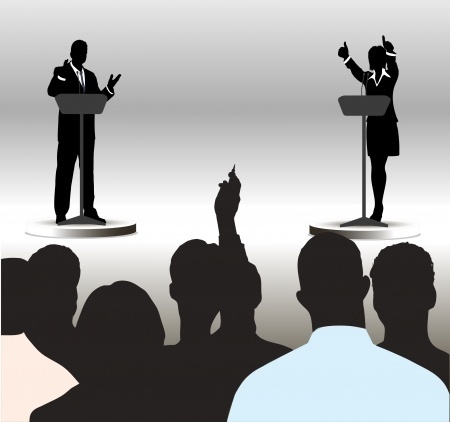 As we’re on the cusp of the first debate between the two major candidates for U.S. President in 2016, Democrat Hillary Clinton and Republican Donald Trump, it’s a good time to consider how each candidate’s proposals for spending and taxes would affect the fiscal future of the U.S. government, and by extension, U.S. taxpayers. The Committee for a Responsible Federal Budget has provided a preliminary update of their estimates of the impact that each candidate’s proposals would have on the U.S. government’s budget in order to account for a number of new and revised proposals that each candidate has made in the almost three months since their original analysis of both Donald Trump’s and Hillary Clinton’s proposals back in July 2016. Of the two candidates, Donald Trump’s proposals for future spending and tax policies have changed more significantly, where he has significantly scaled back the magnitude of tax cuts he had proposed during the Republican primaries. 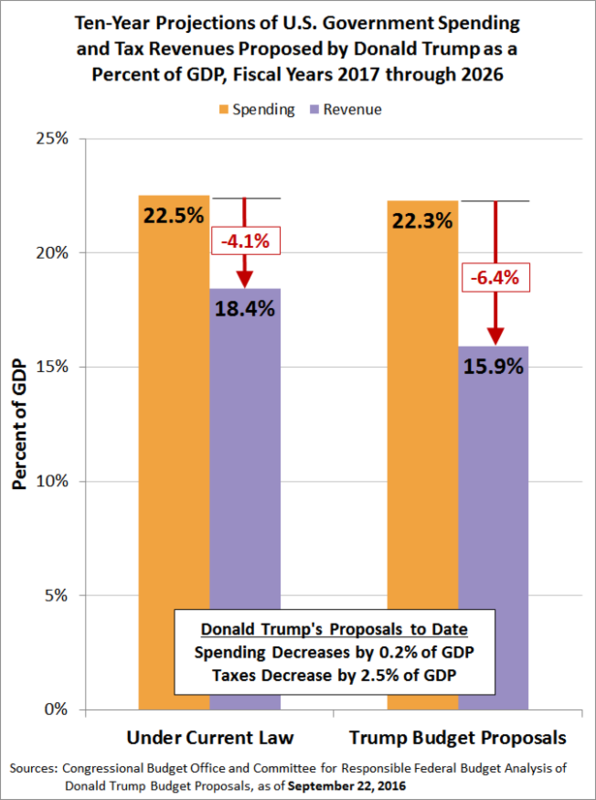 Compared to the CBO’s most recent projections for the U.S. government’s spending and tax revenues, Trump proposes to reduce both, reducing spending by a small amount as a percent share of the GDP the CBO projects over the next 10 years and reducing taxes by a much larger percentage. However, the magnitude of the tax reductions that he has proposed to date are such that they would increase both the nation’s budget deficits and the national debt at a rate much faster than the CBO would project would happen with no changes to current law. 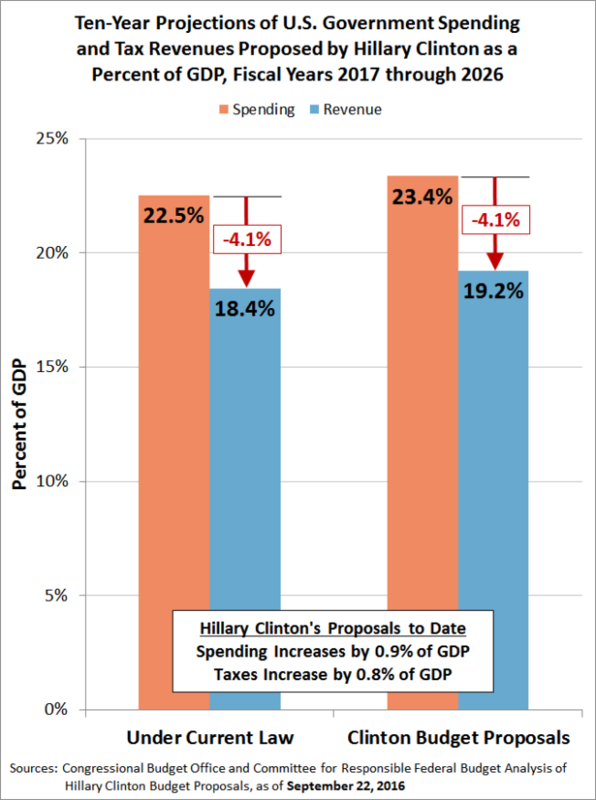 Hillary Clinton’s various budget proposals for the U.S. government to date go in the opposite direction for both spending and tax policy. Clinton’s proposals to increase both spending and taxes by nearly 1% of GDP over the next 10 years would bring them to levels not previously seen outside of periods of economic crisis and war. In terms of fiscal balance, the sum of her proposed spending increases exceeds the sum of her proposed tax increases by a very slight amount at this point, so there would would be a very small increase in the U.S. government’s projected budget deficits over the next 10 years, which right now, amounts to little more than a rounding error compared to the current law projections. The same would hold true for the projected future growth of the national debt. 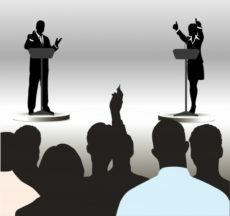 With the 2016 presidential campaign moving into high gear, neither candidate’s budget-related proposals can be considered to be a final version of what anyone will see by Election Day, so both reflect what is at best an incomplete picture of the objectives they would pursue if they take up residence in the White House. 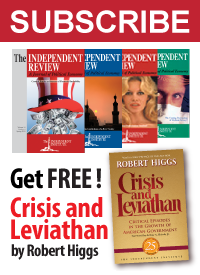 As such, they are very much works in progress, which have already changed considerably in just the last several months, and which would change even more before the next President of the United States must submit a new budget proposal to the U.S. Congress. Perhaps the best news is that none of these proposals can be considered to be real until they’re signed into law.